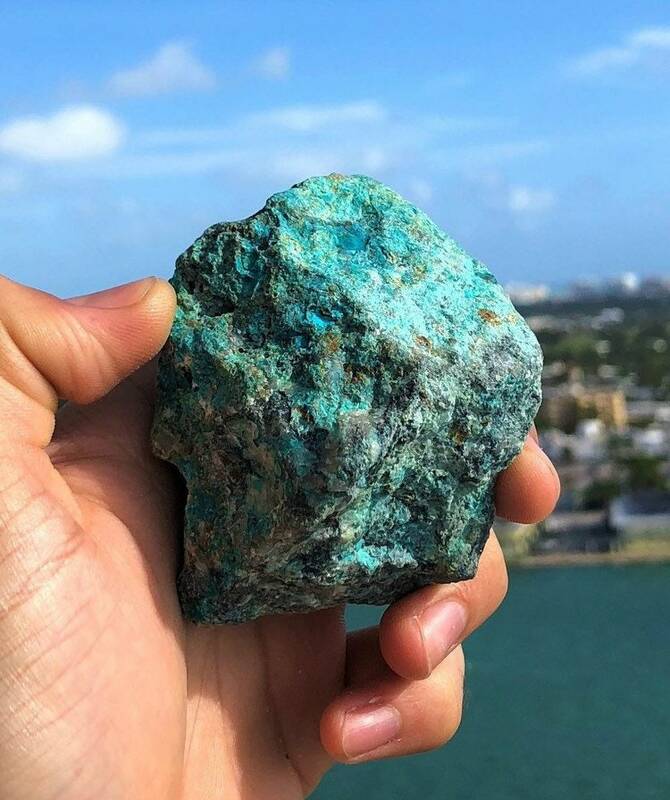 This peaceful and soothing Chrysocolla stone has calming vibes which helps to cool off fiery, hot headed emotions as soon as it touches the skin. It also opens the throat chakra, which boosts clear communication and self-expression by drawing negativity from the body. Whatever challenge you're facing, whether it's a break up or job loss, the stone calms emotions so you can heal and move on with your life instead of dwelling on past mistakes. 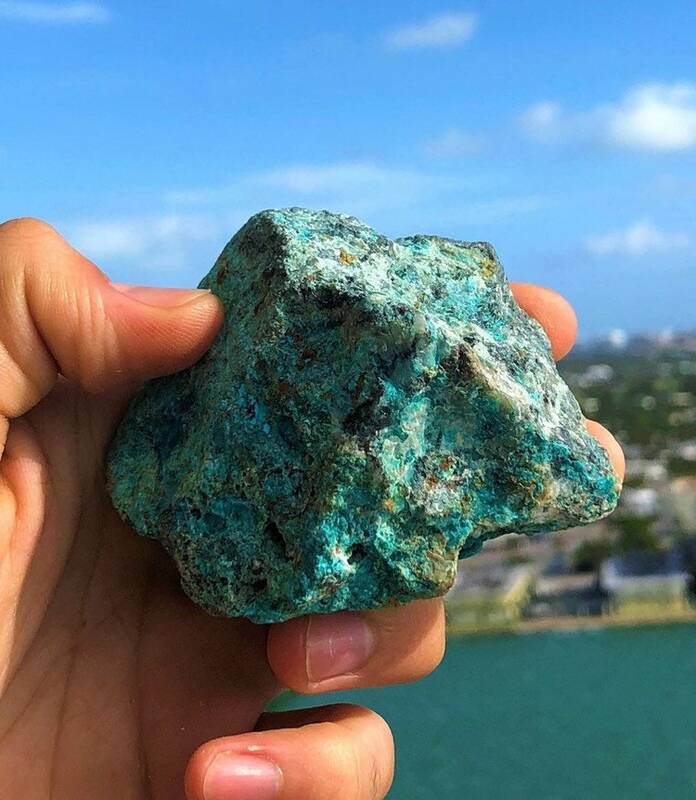 Everyone suffers from daily stress and worry, a typical cause of communication problems, but this stone clears the mind of distracting thoughts and guides us towards a higher consciousness. Encourage loving communication in your life by placing the stone on the breastbone or throat to detox and rebuild strength during extreme stress or illness. Lying flat on your back with your legs uncrossed, ease your breathing by placing the stone over your heart chakra, which connects to the throat, the energy center of expression. 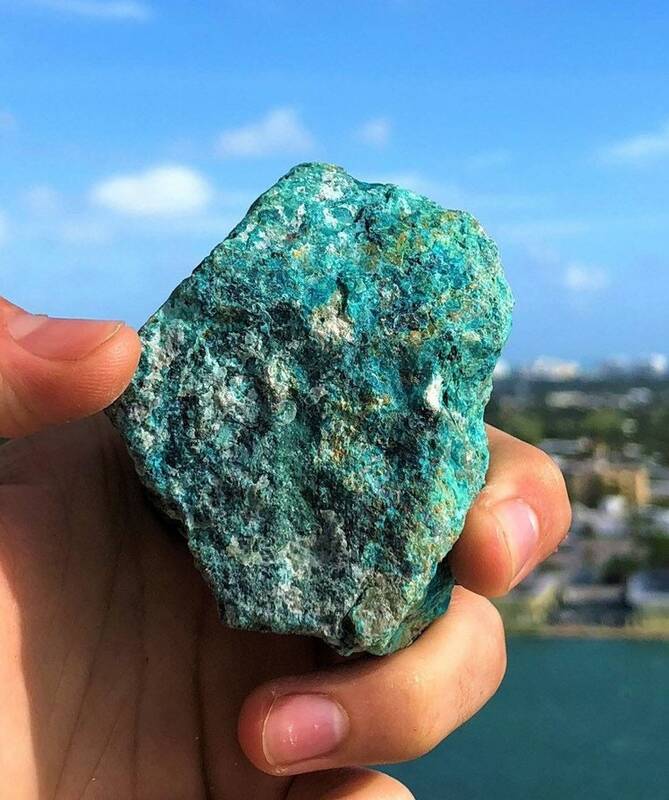 Receive This EXACT Chrysocolla stone SEEN in photos.